So put your faith inside of a man who knows the ins and outs like the backside of his hand. Roosh Williams is a Houston MC whose parents moved from Tehran to Texas before the Iranian revolution. A childhood interest in poetry quickly became a love of rap seasoned in the city’s colorful lineage of mic murderers. 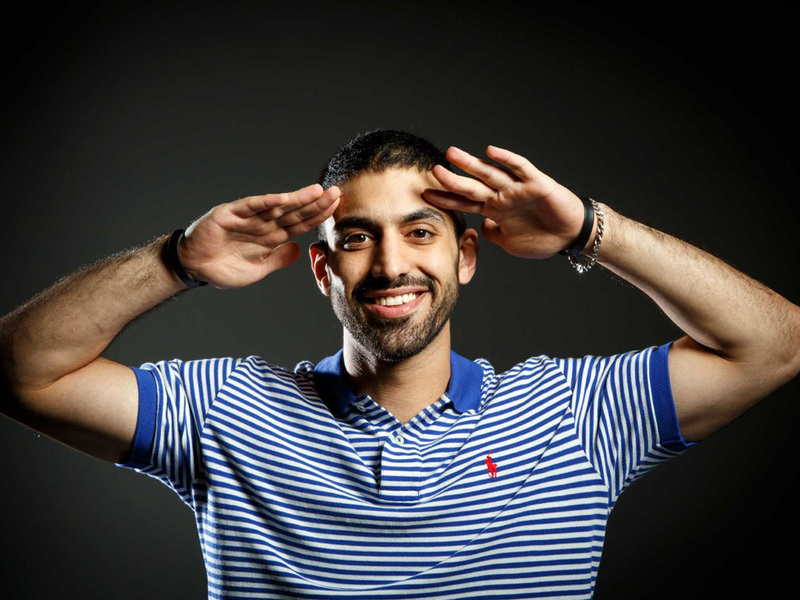 In elementary school Roosh began recording freestyles in earnest on a friend’s computer, moving on to sell CDs to peers in high school and hone his craft further during his time as a student at the University of Texas. His debut album Common Struggles of a Modern Man arrived in 2011 showcasing a booming voice and limber wordplay on cuts like the single “No Hard Feelings,” a collaboration with hometown heroes Renzo and Killa Kyleon, and garnering accolades from the Houston Press. Roosh built a rep in and around Texas on an energetic live show, and in 2013 he was selected for a one-of-a-kind opportunity when Simple Mobile, Complex and Hip-Hop DX selected him (by surprise!) to take part in the wireless company’s Change Your Game promotion, a partnership that spawned the one-off EP Drobots: The Reboot in tandem with Pac Div producer Like. That year he also released his most fully realized work, deja Roo: Times Have Changed. The album trained Williams’ army of effortless flows on a collection of songs ranging from the pensive (the laid back Action Bronson collab “It’s a Beautiful Thing”) to the personal (the family history “The Way I Love You” and the backstabber-skewering lead single “Fraudulent,” which sports a guest spot from country-rap stalwart Bubba Sparxxx). Self-financed, promoted and executive produced, deja Roo presents the uncompromised vision of a true independent, one whose songs are borne out of real world experience and whose talents aren’t limited to a recording booth. The album was recorded over a litany of early mornings and late nights around a day job at Apple, while relentlessly grinding from work to doing shows across the southern and midwest regions. deja Roo has been recognized by Complex and Houston Press as one of the top ten Houston rap projects of 2013, and XXL took note of Roosh’s achievements in a feature for the magazine’s up-and-coming artist series “The Break” in March. Roosh continues to wow crowds from SXSW in Austin to A3C in Atlanta, and as a hard-working self-starter with prodigious rhyme skills to match, his star is surely on the rise.